I hope you’ve been enjoying all my recent comfort food recipes I’ve been sharing! I know I’ve enjoyed making AND eating them too. My goal has been to show you that comfort food can be both delicious and good for you! 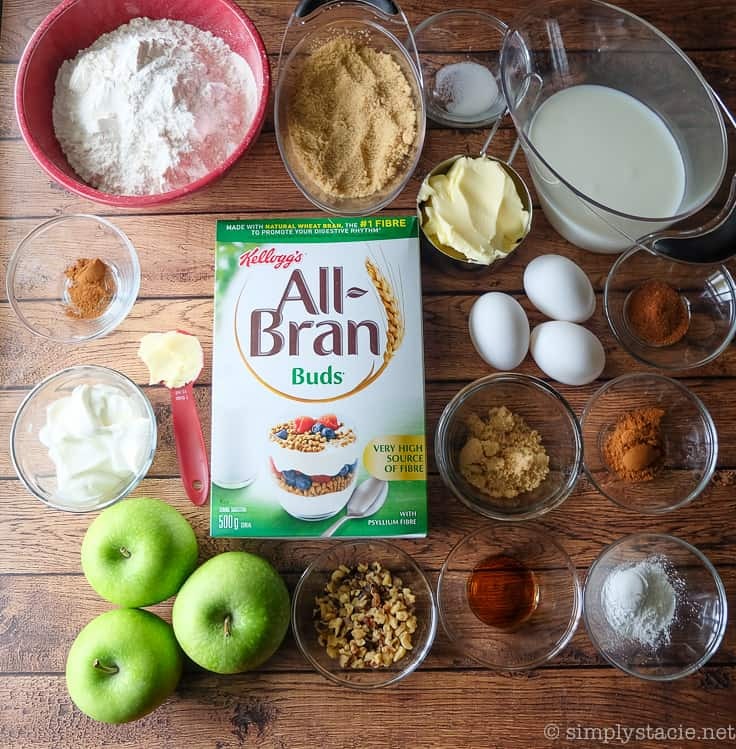 Take a peek at the #AllBran hashtag on social media and you’ll some awesome fibre-filled “comfort food moderne” recipes that will make your tummy growl! My appetizer recipe, French Onion Stuffed Mushrooms, combines all the flavours from the classic soup recipe into a bite sized, fibre-filled mushroom cap. Think holiday parties! My entree, Healthy Shepherd’s Pie, is comfort food you can eat without the guilt! It has the traditional meat and veggies with a fibre kick. The topping is creamy mashed cauliflower. Even my kids enjoyed it. Today’s recipe takes the cake. No really, it does! I hope you like Apple Upside Down Cake because I sure do. 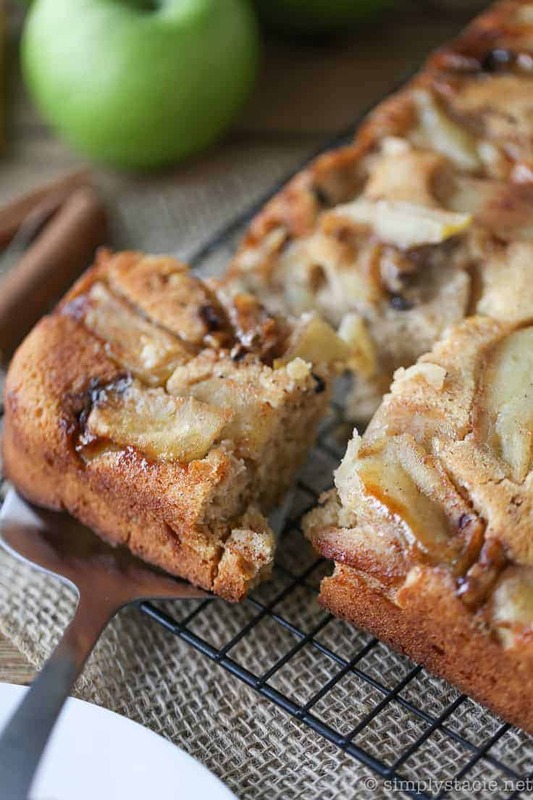 Apple desserts + fall go hand in hand. I’ve been making this dessert for several years, but only recently started adding All-Bran Buds to my recipe. I love that it’s sweet and is helping my family reach their daily fibre goals. Let’s move onto the recipe, shall we? It has quite a few ingredients, but I bet you’ll have most of these pantry staples already on hand. 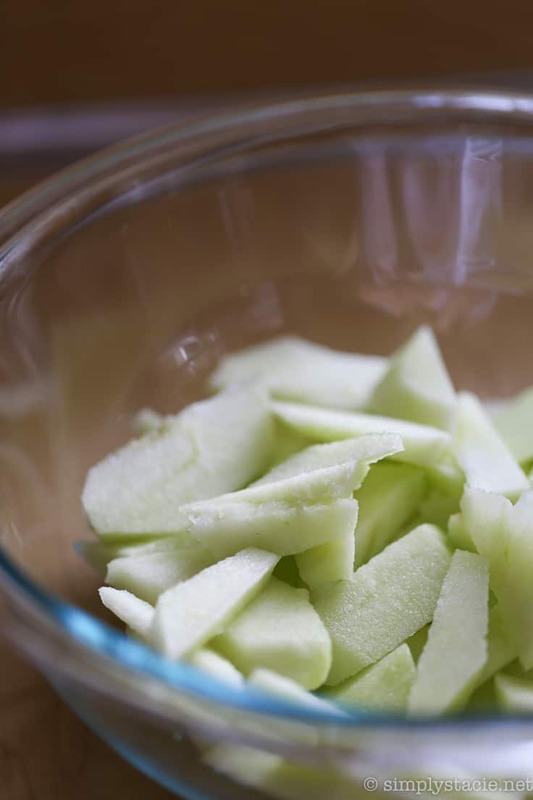 My favourite kind of apples to use in baking recipes are Granny Smith apples! These are also the apples that my youngest daughter asks that we buy when we are shopping. I love their tartness. Toss in some brown sugar, walnuts and spices. It smells like fall! Don’t forget to grease your baking pan! This is an important step. If you forget, your cake will not flip over so easily. I know this from experience! These apples will eventually become your cake topping. 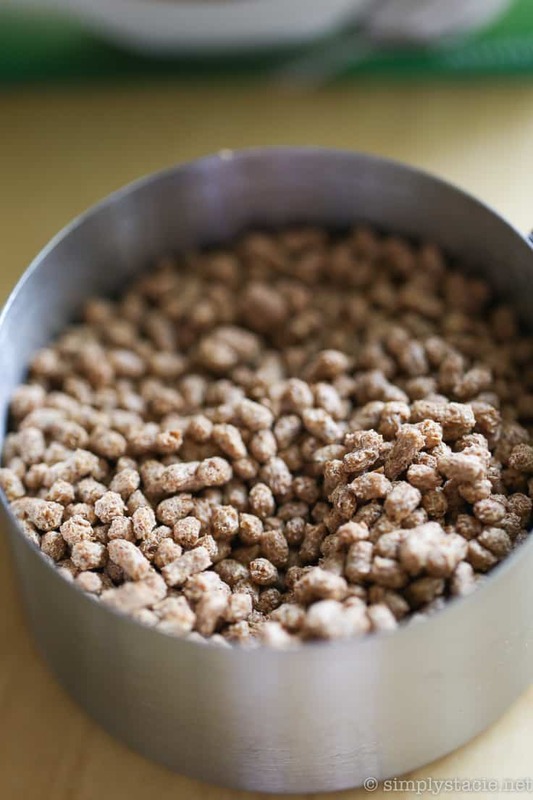 The star of the show are All-Bran Buds cereal and I think this recipe shows just how versatile they are. Enjoy them for breakfast in milk or yogurt, add them to a smoothie or salad and now to your desserts! Each 1/3 cup serving contains 44% of the recommended daily fibre. They’ll be mixed into the cake batter. It has what I like to call “fall spices” which basically means cinnamon and nutmeg. I seem to use these two in many desserts this time of year. Add your wet ingredients to your dry and give it a good stir. Pour the mixture evenly over the apples. It’s baking time, folks! 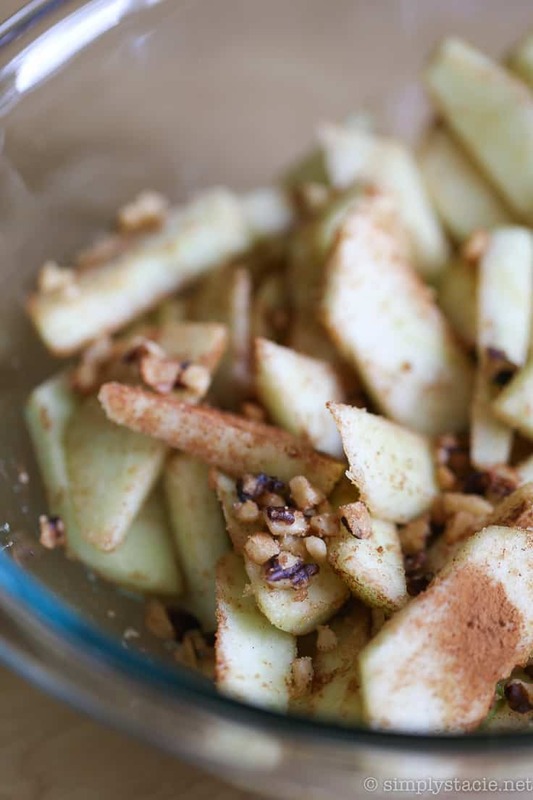 Your home will fill with the heavenly scent of baked apples and cinnamon. Because you’ve greased your baking pan so well, it should just slide right out easily onto your cooling rack. It will still be steaming so be careful! Moist, sweet and full of healthy fibre. This is my kinda dessert! I brought this cake to our Thanksgiving dinner at my parent’s house. It was a hit! My mom said it reminded her of a snacking cake and that it wasn’t overpoweringly sweet. Many Canadians struggle to get the recommended 25 grams of fibre a day. Think about your own fibre intake. Are you getting enough? The good news is that there are many tasty, fibre-rich foods including the ones I’ve shared so far through my partnership with Kellogg’s All-Bran. This fall, Kellogg’s All-Bran has teamed up with three top Canadian chefs who have created 15 delicious comfort food recipes that are perfect for people who want to eat healthy, but aren’t willing to sacrifice on taste. Visit All-Bran on Pinterest and take a peek at all their yummy pins. When you see a recipe you like, pin it to one of your boards so you can try it later on. I’ve been pinning a bunch myself! 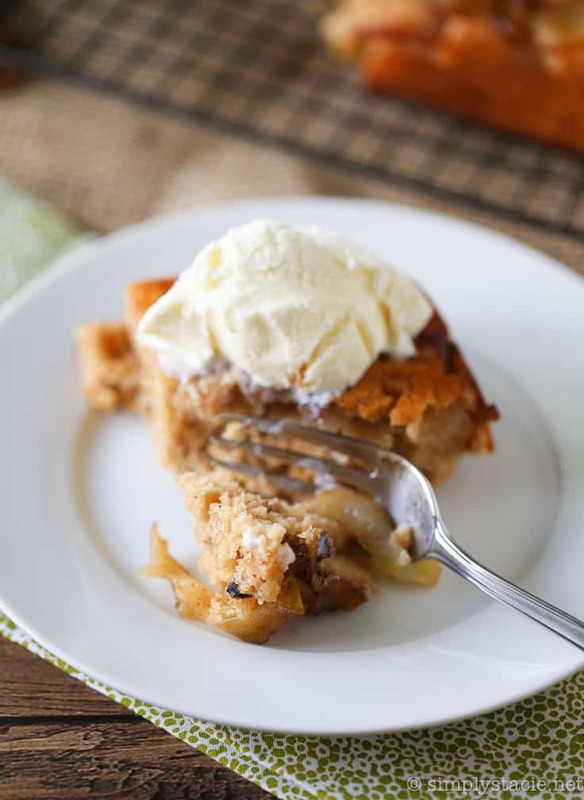 You’ll also find this Apple Upside Down Cake recipe there too! It’s a keeper. Craving more recipe inspiration? 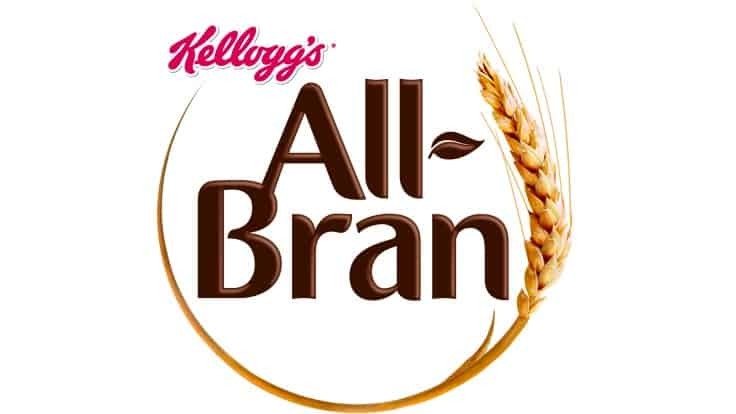 Visit the All-Bran website. I hope you’ll discover how easy it is to incorporate an extra fibre boost into your meals. Fibre promotes regularity, contributes to healthy cholesterol levels and helps you maintain a healthy body weight. I encourage you to try some new recipes! I’ve also made a recipe video! Watch me make this delicious dessert and see how easy it is. 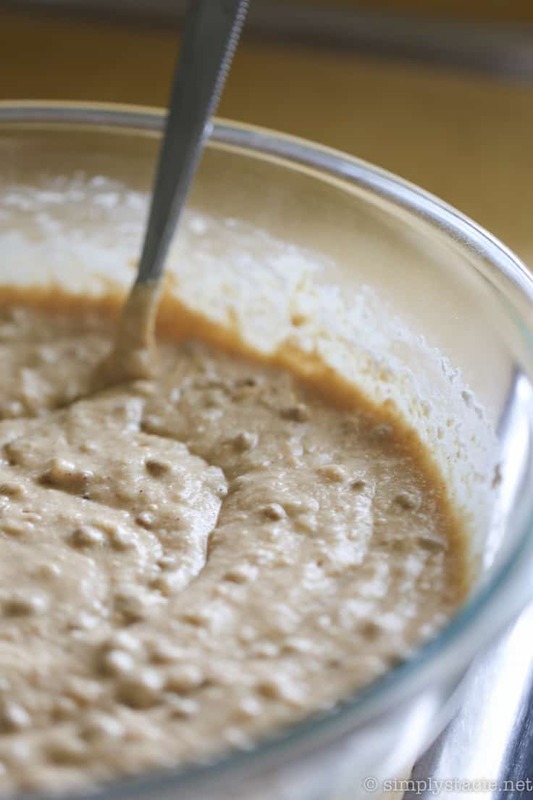 Have you ever tried adding All-Bran to your recipes to give them a healthy kick of fibre? Connect with All-Bran Canada on Pinterest. 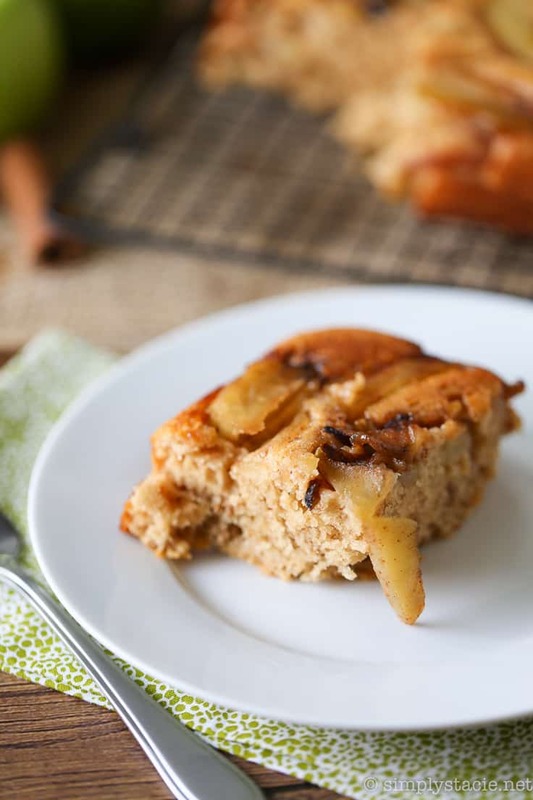 Moist, sweet and fibre-packed, it doesn’t get any better than this mouthwatering Apple Upside Down Cake recipe. Who said dessert couldn’t be healthy?! Preheat oven to 375F. Grease a 9×13 inch baking pan. 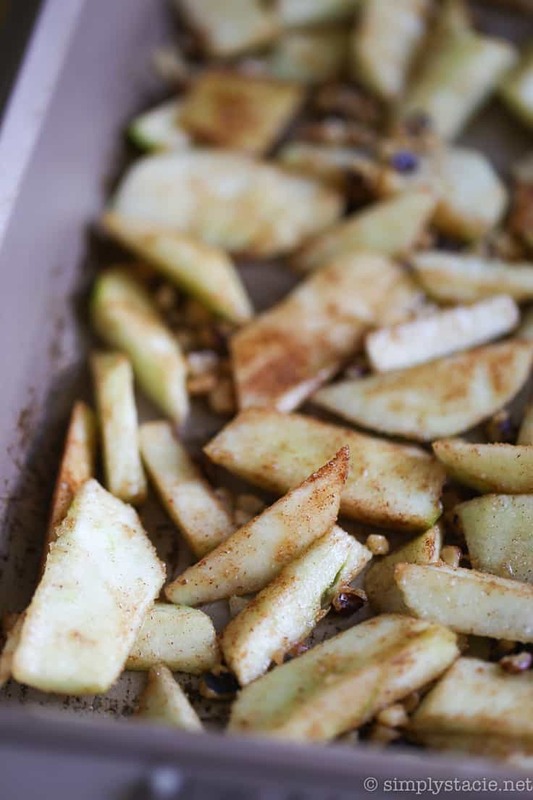 In a medium size bowl, mix together the apples, brown sugar, walnuts and cinnamon. 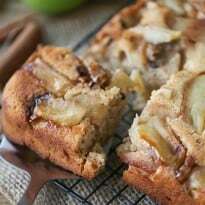 Arrange the apple mixture evenly in the bottom of the baking pan. 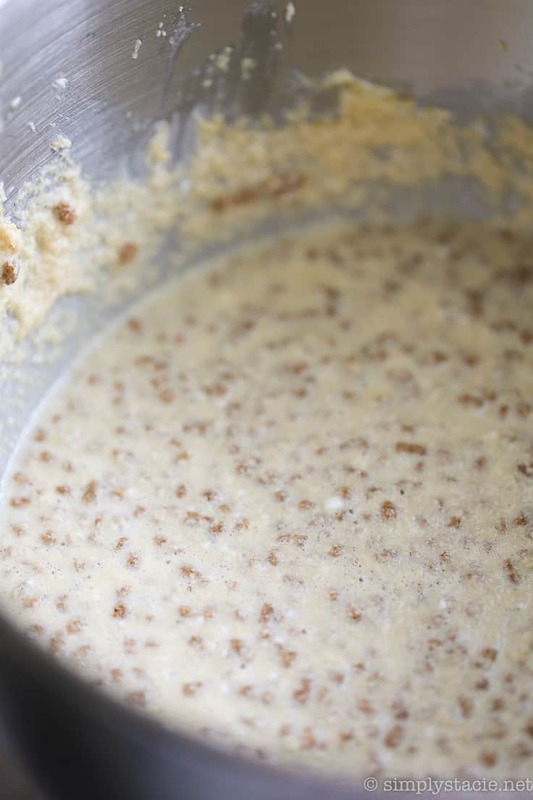 Beat butter and brown sugar with an electric mixer on medium until light and fluffy. Add in eggs, one at a time and continuing to beat. Then stir in milk, All Bran Buds, caramel extract and sour cream. 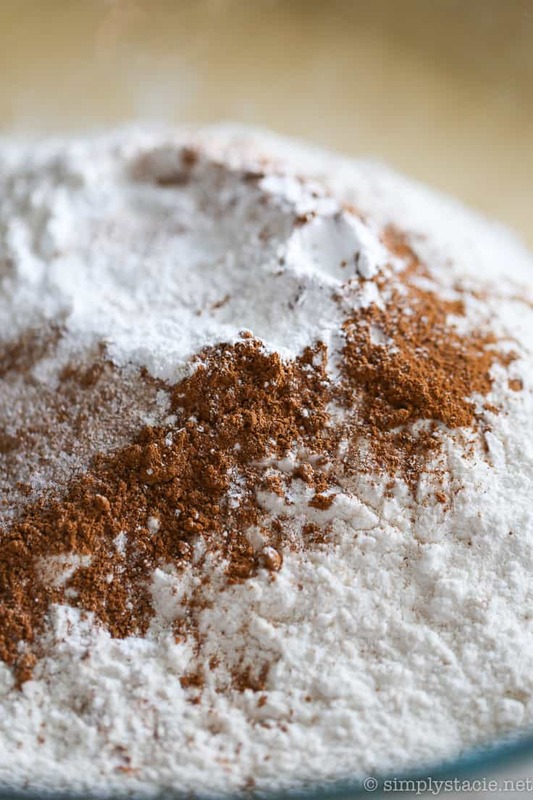 In a large bowl, mix together the flour, cinnamon, nutmeg, salt, baking powder. Add wet ingredients to dry ingredients and stir to combine. 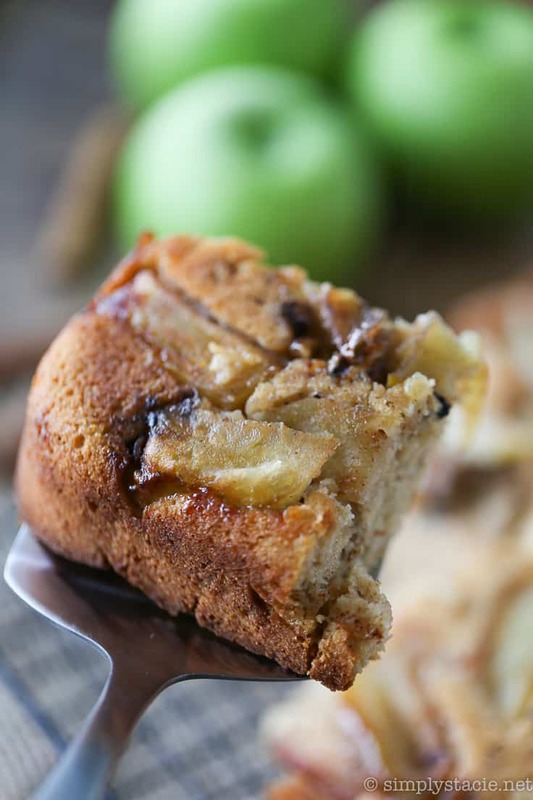 Spoon cake batter over the apples in the baking pan. Bake for 30 to 40 minutes or until toothpick comes out of the center clean. Let cool in the pan for 15 minutes. Then place the cooling wrack on top of the cake and carefully turn it upside down and remove the pan. Serve with whipped cream or ice cream. Disclosure: I was compensated for this post. All opinions expressed are my own. If only I could jump through my computer screen and take a bite. I guess i will just have to make my own 🙂 STAT! OMG, this looks amazing! I love how moist upside down cakes are, I’m going to have to try this one. I love the extra fibre with the All Bran. I put All-Bran in my meatloaf instead of breadcrumbs. My husband has no idea. This looks so good. I am going to try this recipe. I love using fresh apples in baking. 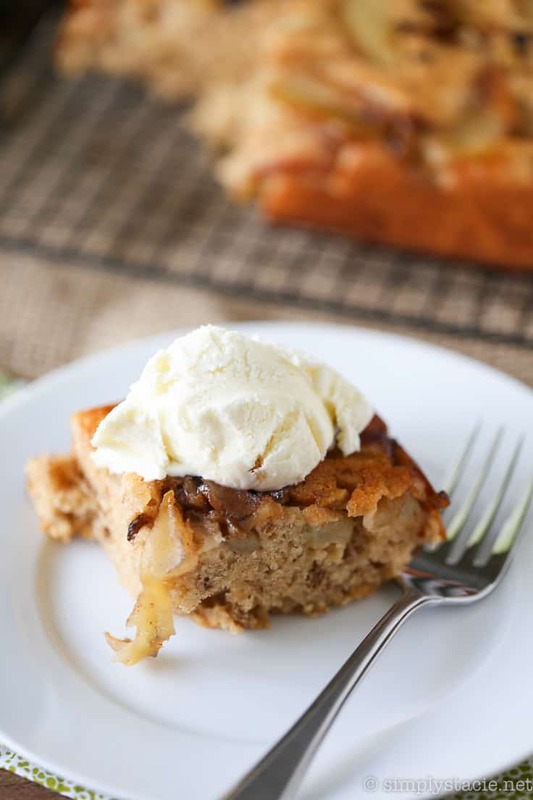 I should try All Bran in more recipes….or just try this delicious apple cake recipe since it looks yummilicious! I can just smell this cooking. Mmm! You make this look easy enough that I may actually try making it! I’ve always wanted to do an upside down cake but fear has of it failing has gotten the best of me! This really looks like a delicious treat. I want to make it for dessert one night. I bet the kids would jump for joy! Wow! Your photos are out of this world. I am drooling while looking at all the photos and can not wait to make this and taste it. Yum, this looks good. I don’t think I’ve ver had an apple upside down cake. That is making me hungry! We have tons of apples from the harvest this year so this will be a great thing to try. Mm, that looks so yummy! I like using Granny Smith apples for baking, too. I can’t wait to make this. 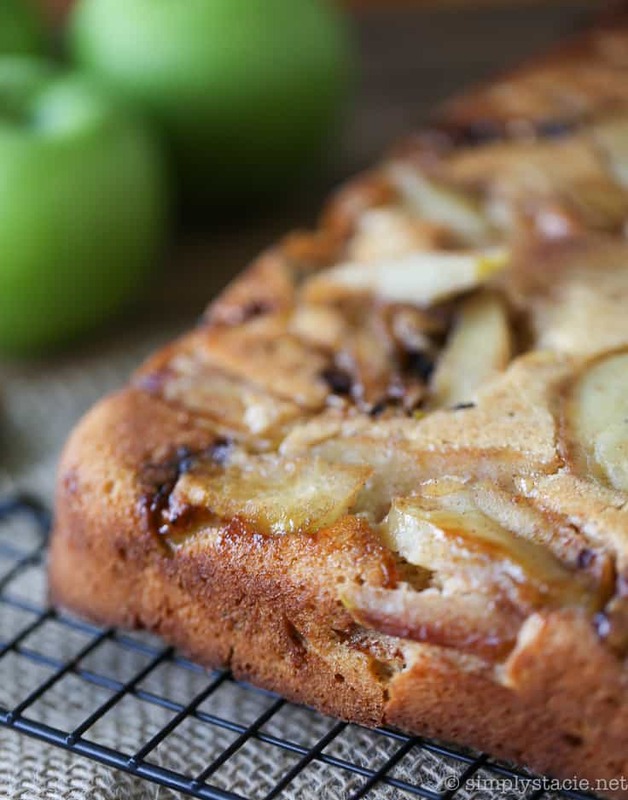 Your apple cake looks so amazing. 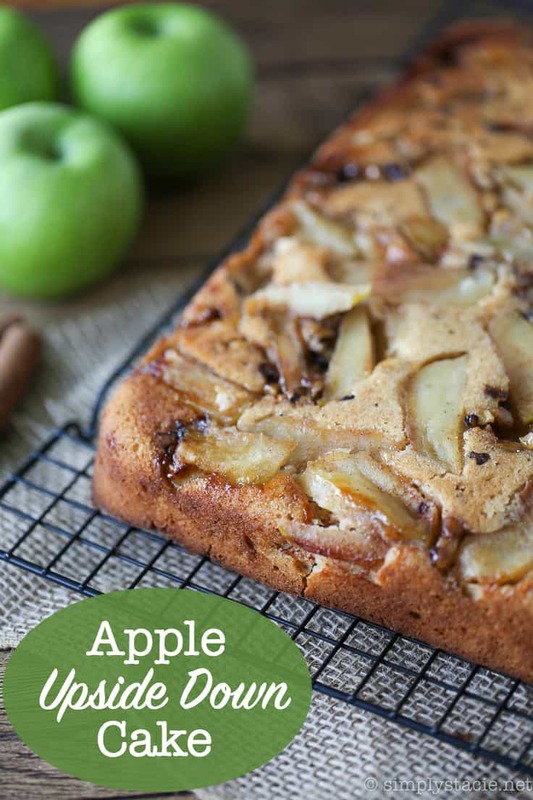 I like that it’s so easy and uses fresh apples that create such a beautiful design when you turn out the pan. This sounds fantastic – not too sure about the All Bran but perhaps you don’t taste it? I remember making my first upside down cake, it was pineapple and I made it at school – yes we had cookery classes in those days as well, as sewing classes in England. I think it’s a pity miss out on them these days. 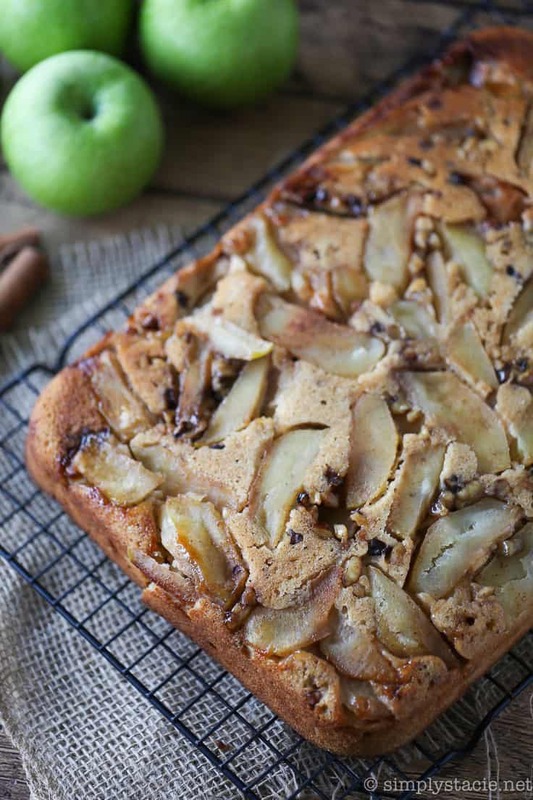 Great way to use up some of the abundance of apples sitting in my kitchen! I’ve been wanting to try making an upside-down cake. I’ve pinned it so I remember it for next time I feel like baking. Thanks for the recipe (and the hint about remembering to grease the pan). I don;t know if we have All Bran Buds here in the Uk but that actually looks like a fab idea, so I’ll be looking out for them. Maybe I could add smashed up regular All bran if not. Worth a try I’m thinking. In the past I’ve mixed whte and wholemeal flour to try to add some extra texture and fibre to cakes, this could be just what I’m looking for! Going to try this for my hubby! Coming over from meet up monday! Have an awesome week! This sounds wonderful Stacie! Yum!!! What a great recipe and thanks so much for sharing it with us at Full Plate Thursday! Hope you had a great Thanksgiving and come back to see us real soon. Looks so yummy. Pinned & shared. Thanks for joining the Inspiration Spotlight party. 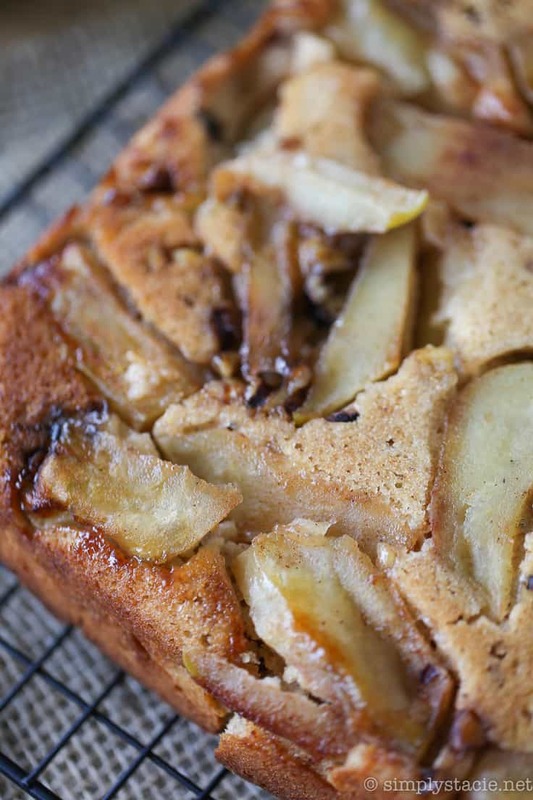 This apple-upside-down -cake will be one of my favorite desserts. I am always looking for healthy desserts for our family and this one sounds like a winner. Thank you so much for this recipe. I am saving it to my favorites. 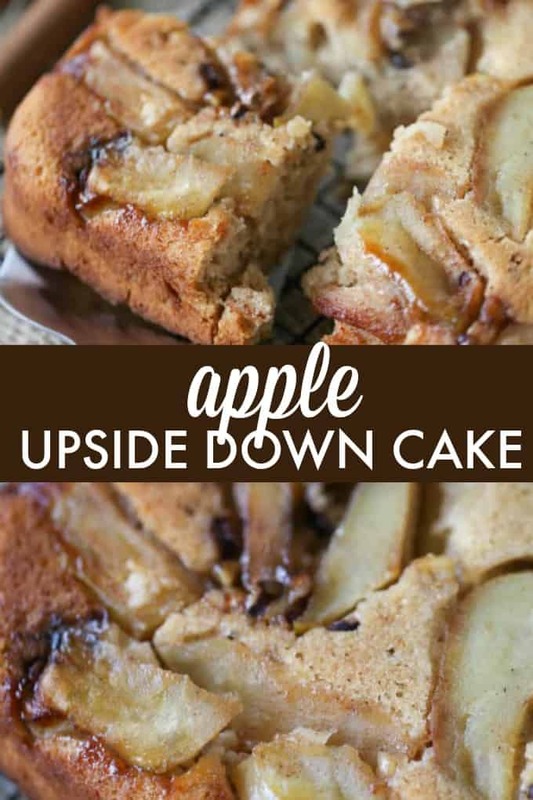 This apple upside down cake looks and , I am sure, tastes delicious. It is the perfect dessert-full of fibre and fruit and so healthy. I am saving this recipe. I thank you for sharing with us.